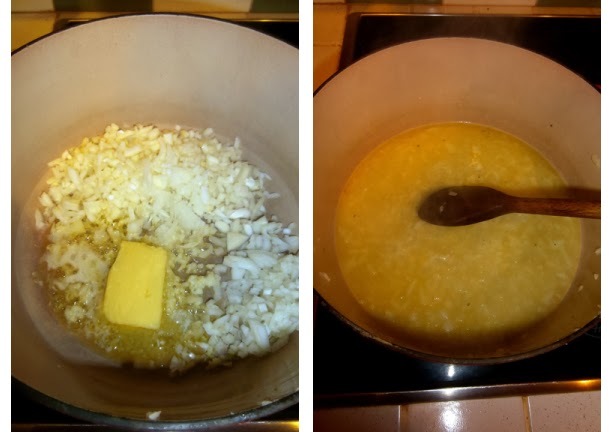 Melt the butter and sauté (fry quickly) the onions and garlic until they are soft. You then add the stock, tinned tomatoes, chillies, salt and pepper. 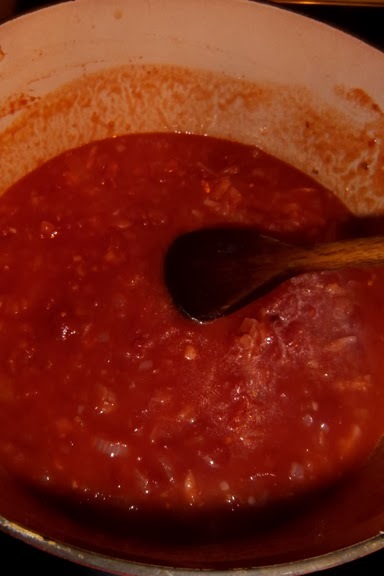 Turn the pot to a low heat and leave it to simmer for 15 minutes so it reduces and the tomatoes intensify in flavour. Before removing it from the heat add the cream slowly. Chicken breasts (enough to fill the number of people- for my family of four I used 6 breasts and that was LOADS) Cut into bite sized chunks. 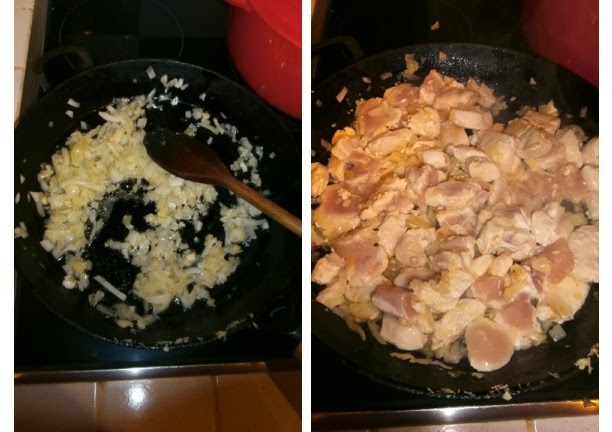 Firstly you will need to sauté the onions and garlic in the butter until they are soft before adding the chicken. Leave the chicken to cook- turning every few minutes. You should then add the tomatoes, cumin, salt, pepper, lime juice and coriander and leave for a few minutes to develop the flavours. As you can probably see from the picture I also added mushrooms and a red pepper. These are entirely optional but if you are feeding a hungry crowd they will bulk out the meal a bit and make the filling go further. The next part involves filling the wraps with the chicken mixture. I did eight wraps for my family. I usually do rectangular parcels and pack them into a big dish- the type you might use for lasagne. You should then cover them with the sauce and I also sprinkled some greater cheese over the top for even more flavour. 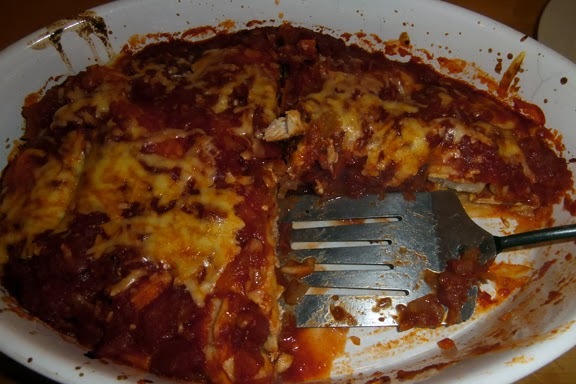 Put the enchiladas in a pre heated oven at 180°C for 20 minutes and your done. I hope you enjoyed this recipe post instead of my usual baking- would love your feedback and maybe I will do more. The pictures and making me hungry all over again so I might have to go on the hunt for some more food. Have a good weekend!